Key Word Marking color themes - Of Bibles, books and letters . . . . 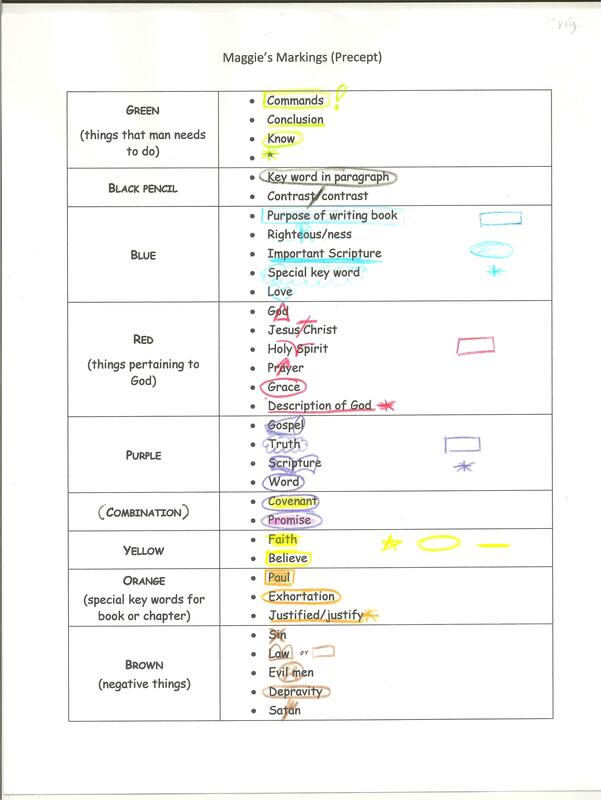 Many years ago my first Precept Bible study leader shared her key word marking system with our class -- she color-coded by theme & I've tried to incorporate her system as much as possible (not always successfully but it helps me be consistent when marking than I would be otherwise). 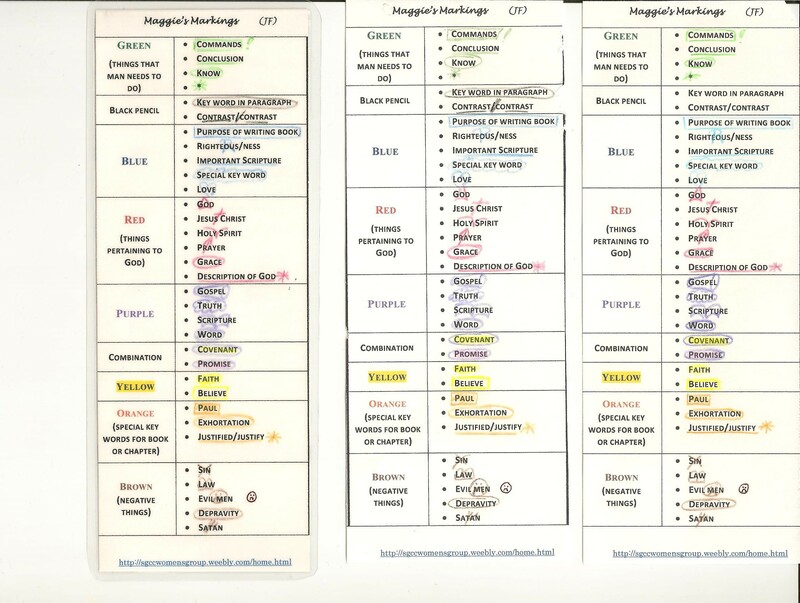 This JPEG book mark can be printed on photo paper (8.5 X 11" in landscape) for a handy reference. I just cut them apart so that they make three bookmarks. The other option is to laminate them, which I used to do, but that makes for a really stiff bookmark. The photo paper is thicker and stronger than printer paper but not too stiff. It may be easier to download from this link with 3 bookmarks on one page or as a single bookmark. I love all of your 'helps'! I am just getting started (in 3 weeks) and wanted to have my 'colors' chosen and wanted an overview of what I will be doing...thank you! You're most welcome. Of course, I didn't come up with these color codes/themes but I've found them very helpful so like to share them with others.